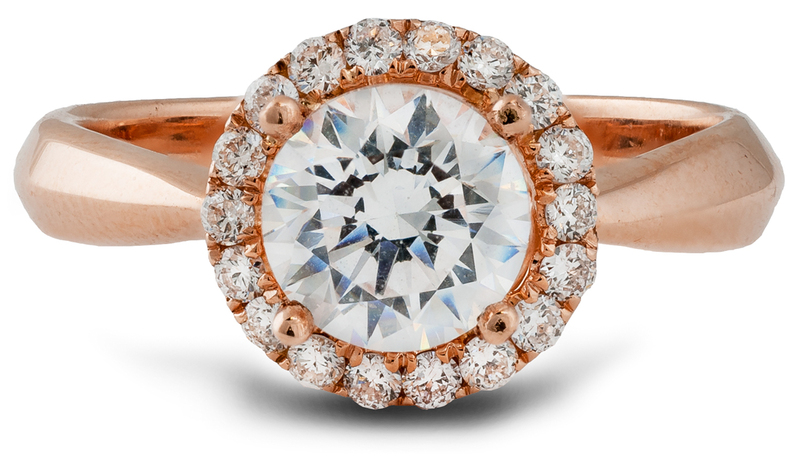 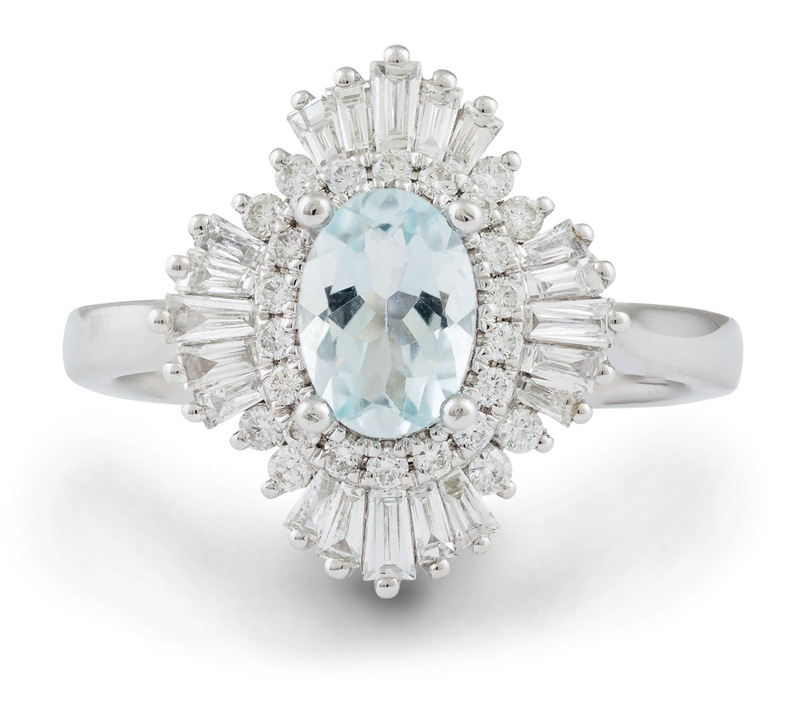 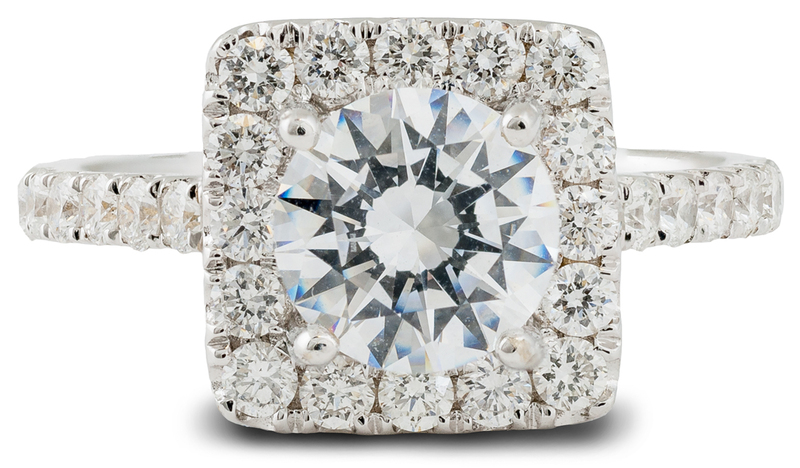 This ring makes a bold statement and demands to be noticed. 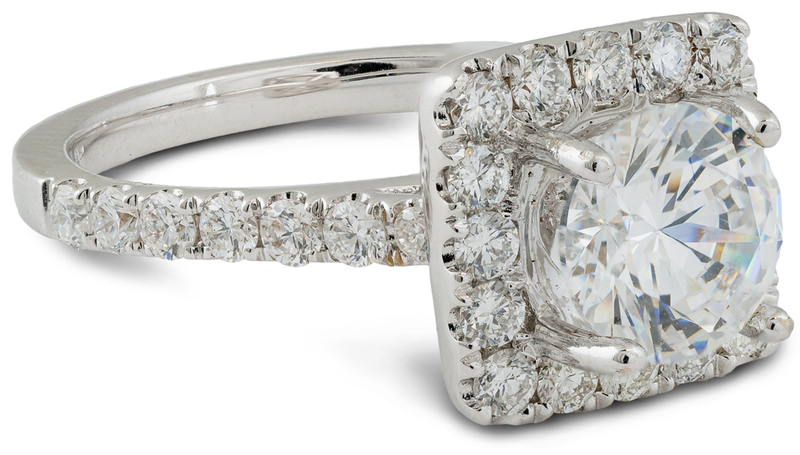 The strong lines of the square halo design are juxtaposed with the round center diamonds creating a unique and balanced look. 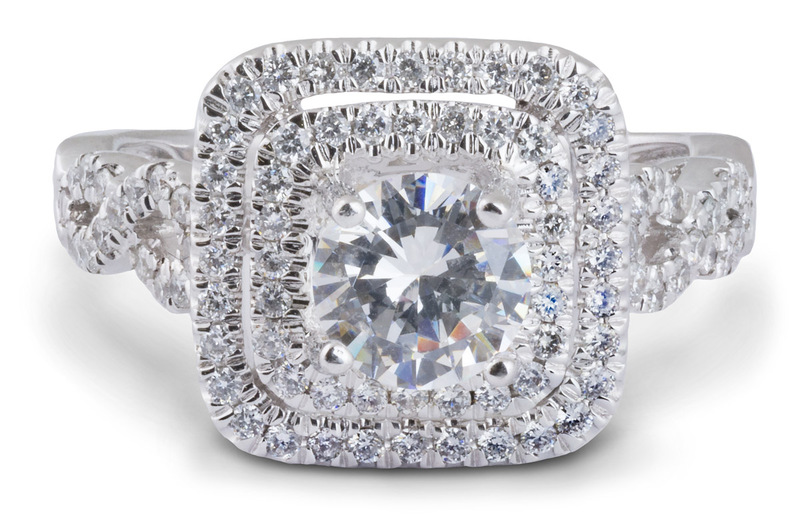 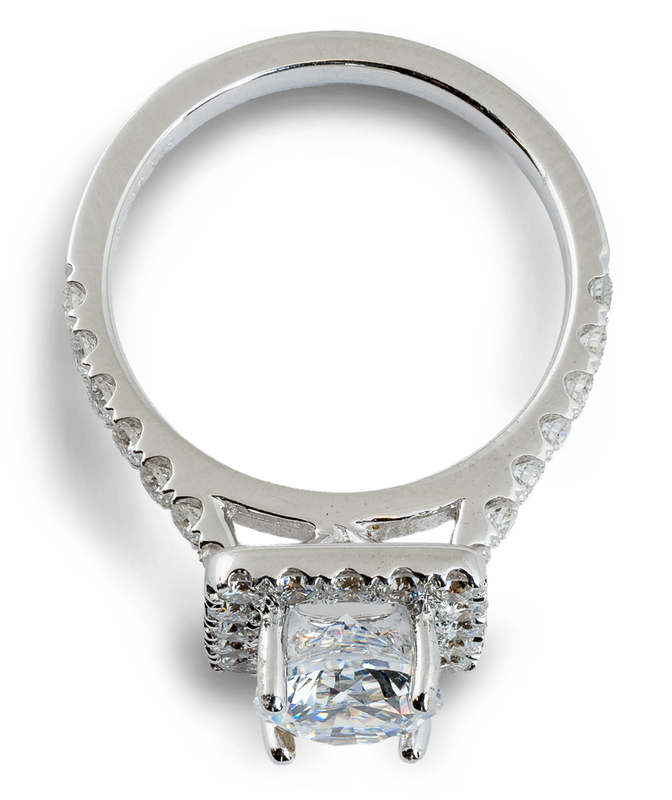 The accent diamond on the halo and the sides of the ring shank are larger than those normally used which gives the ring a high-end look, and creates a more radiant and dazzling effect.